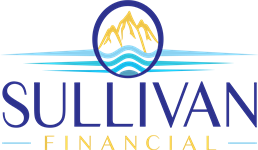 Financial Planning | Sullivan Financial Services, Inc.
Financial planning is at the very core of the life planning services we provide access to for individuals and families seeking to build, preserve and manage wealth over time. Retirement income planning, education planning, tax and estate planning, and risk management services are components of a larger, more comprehensive financial plan designed to achieve multiple financial and lifestyle goals. Your plan also provides for your heirs and defines the legacy you choose to leave. We use WealthVision, a comprehensive and flexible wealth and goal planning platform you can access via website from anywhere you have an internet connection. With its single, secure access point, you can view all of your investments and accounts, providing a comprehensive view of your entire financial picture. WealthVision’s powerful analysis tools also allow you to track changes in your assets and changes in your life based on your overall asset allocation, retirement and cash-flow models, insurance programs, financial and estate plans.